Reed isn’t just a word, it’s a community that strives to “Reach Excellence Every Day!” Reed Hall is one of four fabulous residence halls that make up the Reed Community. It is a unique setting that approximately 296 residents call their “home away from home.” Additionally, Reed is open 365 days a year, making it a convenient choice for many residents. 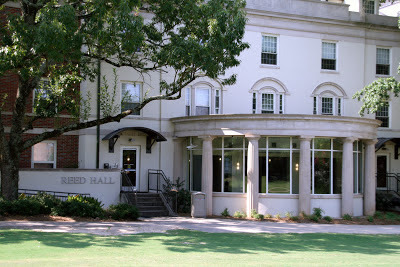 Reed Hall is also popular because of its central location and amenities. 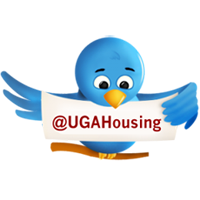 Residents have easy access to Sanford Stadium for football games, the University Bookstore, tutoring services located in Milledge Hall, the Tate Student Center and the Miller Learning Center. Reed also has its own quad, which offers residents a large area to study or play games while enjoying fresh air and sunshine. On the inside, Reed has five floors with a variety of room styles including double-occupancy, suite-style and single rooms with private or semi-private bathrooms. Residents also enjoy a nice lobby area, multiple study lounges and a huge programming room steps away from the Reed Plaza and Sanford Stadium, where residents can be found watching their favorite shows on the flat screen television. 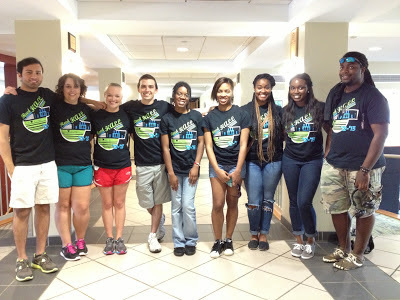 In addition, Reed residents thoroughly enjoy making meaningful friendships and learning from each other. The residence hall is home to international students, American Sign Language Multi-cultural Experience learning community participants, first-year students, upper-class students and even graduate students! This summer you can expect a blood drive, fun in the sun and a bunch of other great programs! Resident Perspective: What’s it like to live in Reed Hall? We caught up with two Reed residents to talk about their Live it! experience in Reed Hall. Where is your favorite place in Reed Hall? with Reed residents heading to Six Flags. 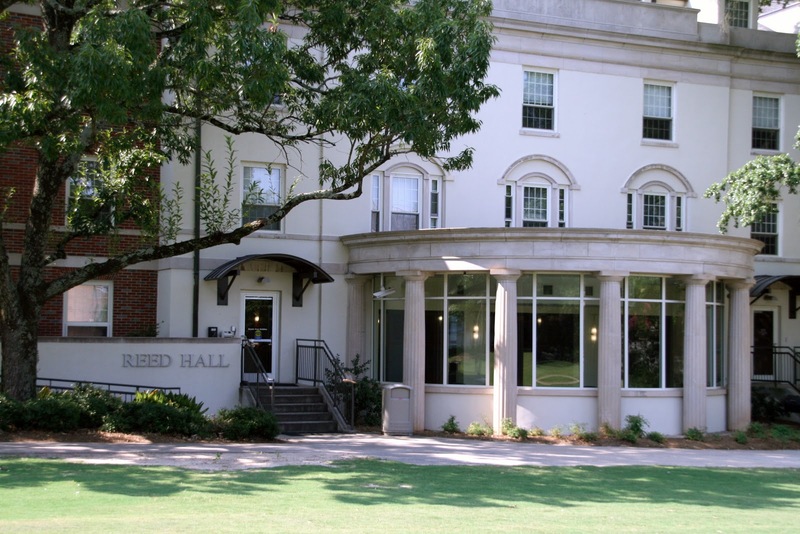 What is your favorite aspect of Reed Hall? Garrett: Location…Reed is close to downtown and you take a beautiful walk through north campus to get there. It’s near several bus lines, our quad, the stadium and the excitement that comes during fall semester. Also, our lobby is really open. Julia: The sense of community...having friends close by; the MLC is minutes away; the quality of the rooms. What is your favorite Reed memory? Garrett: The “Carving on the Quad” program we had in October with pumpkins. Julia: The “Reedsgiving” program when we had a sit-down, family-style Thanksgiving dinner and simply hanging with close friends I’ve met while living in Reed.